The Metropolitan Opera’s decision to feature three diverse Russian works this season was praised by singers, but has attracted controversy. For the third year in a row, soprano Anna Netrebko opened the Metropolitan Opera season – but this year Netrebko’s Russian roots were more significant. She was singing the role of Tatiana in Peter Tchaikovsky’s Eugene Onegin under the baton of conductor Valery Gergiev. The opera was just the first of three Russian works the Met will perform this season. Onegin, which runs until Dec. 12, was followed by The Nose, by Dmitri Shostakovich, which is being performed just this month, and Alexander Borodin’s Prince Igor, which will open in February. It was the Russian-ness of opening night drew the ire of many fans, who gathered both inside and outside the theater to protest against Russia’s anti-gay propaganda law. Activists wanted the Met to dedicated opening night to the gay rights in Russia, and while the Met declined, General Manager Peter Gelb did write a piece for Bloomberg news expressing support for the LGBT community. The op-ed was reprinted and included in the opening night program. Onegin is undoubtedly the best known of the three; it is one of the most frequently staged Russian operas in the world. Onegin has been performed at the Met multiple times since its premiere in 1920, in an Italian version with Claudia Muzio as Tatiana and Giuseppe De Luca as Onegin. The opera’s most recent run at the Met in 2006-2007 was also conducted by Gergiev, with Renee Fleming as Tatiana and Russian baritone Dmitry Hvorostovsky. Polish baritone Mariusz Kwiecien, who is singing Onegin, was unabashedly complementary of Netrebko’s work. “Working with Anna Netrebko, such a beautiful, energetic and talented artist, is amazing. I understood that she grew up listening a lot to Tchaikovsky, so I think she knew the part of Tatiana by heart before working on it,” Kwiecien said. A co-production of the Metropolitan Opera, the Festival d’Aix en Provence and the Opéra National de Lyon, The Nose immerses observers in the radicalism of the musical language of young Shostakovich, who was 22 at the time he composed the work. At times, Shostakovich ended up making his libretto much deeper and more complicated than the original story by Nikolai Gogol. In the current production, Brazilian baritone and actor Paulo Szot stars as the protagonist, Kovalyov, who wanders St. Petersburg in search of his missing body part. 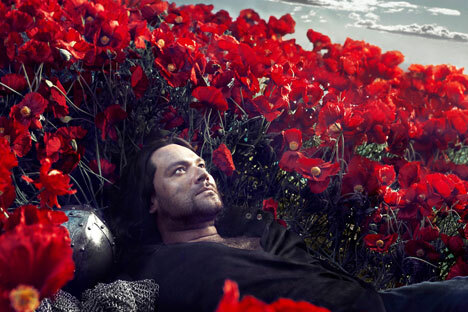 Prince Igor will be performed at the Met for the first time in nearly 100 years. It was last staged there in 1917. Russian classical music сritic Ekaterina Biryukova said that the choice of the piece was directly related to the decision to hire director and set designer Dmitri Tcherniakov to direct a piece at the Met this year. “I think Prince Igor was chosen because a Russian director is supposed to make his debut at a place like The Met with Russian music,” said Biryukova. The production of Prince Igor will involve a number of Russian artists, all from St. Petersburg’s Mariinsky Theatre. They include Russian bass Ildar Abdrazakov, who will sing the lead; tenor Sergei Semishkur in the part of Vladimir Igorevich; and Mikhail Petrenko, who will sing Prince Galitsky. For opera fans outside of New York, all three operas will be available through the Met Live in HD program both in the United States and abroad. The schedule can be viewed here.